A good friend and Sandwich neighbor provided the inspiration for this print. I hope that the image conveys Fred's and my own love of the mountains surrounding us. 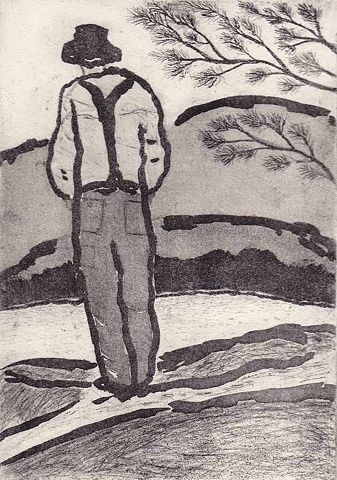 The copper plate used to print the image was prepared by a series of line etchings, aquatint, and drypoint. Edition of 20.